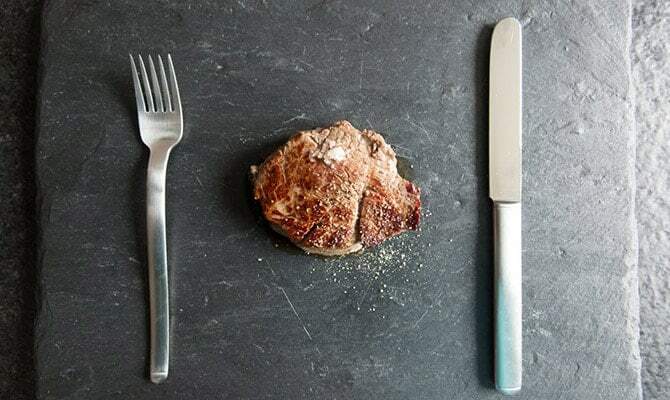 The Atkins diet is designed to help you lose weight by encouraging you to cut down on carbohydrates and sugar, while increasing the amount of lean protein you’re consuming. The whole premise behind this diet is that, without carbohydrates, your body will burn fat to provide itself with fuel. This is what helps you shed pounds, while also helping you stay energized and less hungry throughout the day. For someone who hasn’t tried the Atkins diet before, you might be feeling confused about how to get started. After all, it can be pretty overwhelming when you have to watch your sugar intake and count carbs to make sure you don’t go over your allotted amount. Instead of stressing yourself out with this task, you can turn to pre-prepared meals for help. If you’re looking for an Atkins meal delivery service, who better to provide you with one than Atkins themselves? The company launched their own meal service to compete with others on the market and they’ve made it even easier for people to follow along with this diet’s requirements. It takes the guesswork out of what you should and shouldn’t be eating. At this time, they offer three different options for their customers. They have the Easy Peasy Meal Kit, the Evening Chef Meal Kit, and the Frozen Foodie Meal Kit. The Easy Peasy Meal Kit comes in at $97.99 and is said to be their most convenient and comprehensive kit. It includes a variety of frozen Atkins meals, meal bars, and shakes that can be eaten for breakfast, lunch, and dinner. If you want any snacks or side dishes, you’ll have to prepare them yourself when choosing this particular kit. With the Evening Chef Meal Kit, you have a little more freedom when it comes to what you eat. You’ll receive frozen meals and shakes to enjoy for breakfast and lunch, plus snack bars to munch on throughout the day. The reason this plan gives you a little more flexibility is that they don’t provide you with meals for dinner, instead allowing you to prepare them yourself. If you’re someone who loves to cook dinner on your own, this would be a great option to consider. This one will cost you $89.99. And finally, there’s the Frozen Foodie Meal Kit, which costs $69.99. If you often find that you’re too busy to take the time and cook a meal yourself, this is the kit you’ll want. You’ll receive frozen meals for breakfast, lunch, and dinner. These meals will require minimal prep time in the kitchen, allowing you to quickly prepare any dish you’d like to make. It’s important to note that there are no snack bars or shakes included with this plan. Some of the things you’ll find on the menu include: Dark Chocolate Royale Shake, Chocolate Peanut Butter Pretzel Bar, Farmhouse-Style Sausage Scramble, Chili Con Carne, Roasted Turkey with Garlic Mashed Cauliflower, Crustless Chicken Pot Pie, and Beef Fiesta Taco Bowl. Chef’d is a meal delivery service that provides a few different options when it comes to selecting your plan. You can get meals that follow guidelines from Weight Watchers, the American Diabetes Association, and even Atkins. They also have a few other plans to suit your dietary needs so you can choose what will work best for you. All of the meals they have created in accordance with the Atkins plan are convenient, low-carbohydrate, and made with fresh ingredients. You also have two different ways you can order meals with them. You can sign-up for a subscription based plan and receive meals on a regular basis. You can even choose to shop á la carte, which allows you to purchase meals whenever you’d like. There’s no commitment and you can easily place an order whenever you’d like to stock up on your favorites. 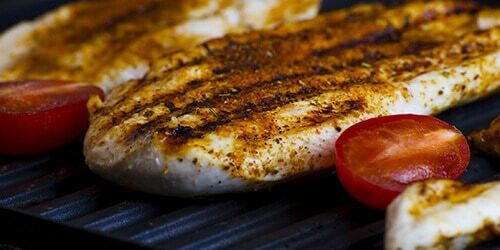 Some of the Atkins-friendly meals that Chef’d has on their menu include: Fajita Steak with Fresh Guacamole, Chicken Curry, Tilapia with Olive Butter and Broccoli, Flank Steaks with Smoky Cilantro Sauce, Turkey Tacos, and Spicy Tomato-Jalapeño Chicken Breast. Individual meal prices will vary based on which dish you order and how many servings. You can choose between two and four servings, which gives you the option to order plenty for your entire family as well. If you’re just ordering for yourself, the two-serving option will provide you with leftovers for the next day. If you choose the subscription meal plan, you can choose between two and four servings and you have the ability to choose how many meals you want each week. You can select between one and seven meals, so it’s completely customizable to your needs. They’ll also ask if you have any food allergies, which allows you to avoid any ingredients you’re unable to eat. Similar to Chef’d, Green Chef has a variety of meal plans for their customers to choose from. They don’t just cater to those who are following the Atkins diet. They offer omnivore, paleo, vegan, gluten-free, vegetarian, carnivore, and various family plans. If you’d like to try out Green Chef and you’re following the Atkins diet, you’ll want to try out their paleo option for the best results. With their paleo meal plan, Green Chef aims to help you eat like a “fancy caveman.” These dishes are filled with animal protein and fresh produce. The best part is that there are no overly processed foods, grains, dried legumes, or dairy. You can also learn more about the suppliers from which they receive their ingredients via their website. It’s one meal delivery service that will leave you feeling good about the foods you eat, while still making it easy to stick to Atkins requirements. There’s a new menu every week, so you’ll always have the option to select with dishes you’d like to put on your table each night. You’ll find meals such as: Harissa-Spiced Chicken, Southwest Burger, BBQ Pulled Chicken, Steak Tabbouleh, Sweet Potato Beef Nachos, and Grilled Chicken Satay. There are plenty of meaty dishes to choose from, so you’re sure to find something that suits even the pickiest of taste buds. If this sounds like it’s right up your alley, the paleo plan from Green Chef is priced at $14.99 per meal. It’s a reasonable cost considering you’re getting high-quality ingredients that are fresh and organic. Plus, it’s sure to help shake things up in the kitchen with all the creative recipes they have available. One thing that’s unique about BistroMD is that they partner with dietitians and fitness experts to craft meal plans that help people see real results. Their primary focus is helping their customers to lose weight and lead healthier lifestyles. If you are interested in the Atkins diet, you can choose their low-carb meal delivery option to find suitable dishes. This plan limits the amount of bread and sugar you consume, while increasing your consumption of lean meat and other proteins, just like an Atkins plan would. You can get dishes delivered to you on a weekly basis, which will make it easier to prepare meals so you can get back to your day. There’s no need to wonder what to fix or stress about grocery shopping with pre-prepared meals delivered right to your door. You won’t even have to worry about counting carbohydrates because the BistroMD team will take care of that for you. Home Chef is the final recommendation on our list, as they also offer a variety of low-carb recipes that are perfect for anyone sticking to Atkins guidelines. Instead of meals that are heavy on carbs, you’ll find dishes that contain plenty of protein and veggies to give your body the fuel it needs. You’ll find dishes such as: Grilled Pork Chop with Dijon Cream, Steak and Blue Cheese Salad, Grilled Honey-Mustard Steelhead Trout, Tex-Mex Turkey Taco Salad, and Sirloin Steak with Sauce Robert. The best part is that all of those delicious dinners will be ready within about 30 minutes. You don’t even have to be an expert in the kitchen to whip them up. Home Chef has made it incredibly easy to prepare their meals so you can put something delicious on the table in no time at all. Because this is a subscription-based service, you’ll receive meals delivered to your home on a weekly basis. You also have the chance to select which meals you’d like to eat, as they provide you with 11 meal options each week to choose from. The meals cost $9.95 per serving, which is quite an affordable price. They also offer smoothies and fruit baskets if those are of interest to you as well. The toughest part of losing weight can be making the right food choices. When you walk into a grocery store, it can be tempting to grab food that doesn’t fit into your diet. Sometimes it’s tough to know which foods are even allowed into your diet without reading small text outlining all of the ingredients. Needless to say, dieting can be a big hassle and time commitment. That is where Diet-To-Go comes in. This meal delivery service has a range of menus that fit into any diet but one of their most popular options is the “Carb30” plan. This plan helps you follow a low-carb, Atkins-style diet by sending you pre-made meals. Unlike many of the other meal delivery services on this list, with Diet-To-Go, you don’t have to worry about prepping the meal or looking over the nutrition labels—they do all of the work for you. If you’re currently following or thinking about trying the Atkins diet and are searching for a way to make it easier, one of these meal delivery services can help. Instead of trying to count carbs and figure it out on your own, you can let one of these services do the hard work for you. You’ll have quality, delicious meals delivered to your door that you’ll be able to whip up in no time at all.